Q: Do you have a store or warehouse I can visit? Q: Why cant I find some of the phones you offer anywhere else locally? Q: I do not like ordering online, what guarantee do I have with my order? Q: Can I just meet up with you and pay cash? Q: Do the products come with warranty? Q: How does pre-ordering an item work? Q: I work/live overseas and want to send a gift to a friend or family member, can I place my order with your site? Q: I live in the Philippines but my family or friends are overseas, how can I purchase a gift for them? No, we do not order phones in bulk or carry stock so we are not required to pass on to you the added costs of such expenses. This allows us to bring you the latest technology at amazing prices right to your doorstep. Not carrying stock or having a warehouse packed with old phones allows us to constantly update our product line with the latest gadgets. We dont have to worry about selling off an old bulk shipment from last year that is sitting in a warehouse before we offer the latest model. We order our items for you directly through our connections at the manufacturer. Check the site frequently for our latest offerings. We understand the risk that some might feel in making an online order. This is why we have partnered with paypal to ensure all customers can be guaranteed a fair transaction. With paypal purchase protection there is no risk to the consumer. Paypal is safe, free and takes only minutes to register. We also pride ourselves in offering various other payment methods, including local banks (BPI or BDO) to bring the convenience of a comfortable online shopping experience to everyone. Please contact us to set up local payment methods. *Now SAVE AN ADDITIONAL 2.5% of the final purchase price and qualify for FREE DHL EXPRESS SHIPPING when choosing to pay at your local bank. No, PinoyAndroids only accepts payments methods where proof of purchase can be shown for use with the included manufacturer's warranty that comes with each product. Yes, all of our products are brand new, with manufacturer's warranty and undergo a thorough quality inspection before being shipped out. Yes, all orders come with a tracking number that will be sent to the email you provide. This allows you to stay up to date on the current status and location of your order. 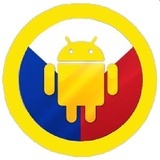 Guaranteed to get it first @ PinoyAndroids! We are happy to use our connections to make sure you get the latest smartphone or tablet first. Please consult out Pre-Order Terms for more information on pre-ordering the latest phone or tablet. Please consult our shipping policy for more information on cancelling an order. Yes, our to the door delivery makes PinoyAndroids the perfect place to get your gifts and have them delivered directly to the people most important to you. All our shipping options and prices can now be applied to international orders for your convenience! This includes a standard global free shipping option, as well as the DHL Standard Express and DHL Priority Express options.